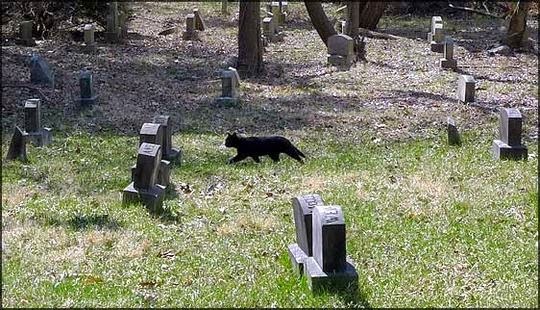 Traveling cat spotted at the Aspen Hill Cemetery in Maryland, USA. A very "Halloween-ish" photo capture if ever there was one! More festive cats...excellent. Have a super Saturday. Black cats and cemeteries...they just seem to go together. That's a little spooky...even in the daylight.